Draft: 2004, Colorado Rockies, 14th rd. Played high school baseball at Milton High School in Alpharetta, Ga....Named a First Team High School All-American by both Baseball America and USA Today during his senior season, batting .457 with 14 home runs and 23 stolen bases...Won a bronze medal as a member of Team USA at the 2008 Summer Olympic Games in Beijing, China...Pledged $1 to each new follower he received during the 2013 holiday season on his @DexterFowler Twitter account to the AND JUSTICE FOR ALL (AJFA) organization based in Utah, which renders civil legal aid to those in need, such as battered women, homeless veterans and seniors without retirement...Resides in Las Vegas, Nev. with his wife, Aliya, and daughters, Naya, and Ivy Noor (7/3/18). Played in 90 games and totaled 289 at-bats for St. Louis during injury-shortened season, the lowest single-season totals of his career...His season ended with a left foot fracture after hitting a foul ball off it at Pittsburgh (8/3), missing the final 52 games of the season and finishing the season on the 60-day disabled list...Started 74 games for the Cardinals (41-33 in those starts)...The Cardinals were 19-2 in 2018, and his teams are 12723 when he scores 2+ runs in a game. Scored 14 runs in the month of April, his most in any month and 3rd-most on the Cardinals...Did not hit a triple for the first time since 2008, when he played in only 13 games with Colorado...Hit his 24th career lead-off home run at MIL (4/3), coming off Chase Anderson. Part of back-to-back home runs to lead-off game with Tommy Pham...Posted an RBI in 7-of-10 games from 4/12-4/26, culminating with a walk-off RBI single in the 13th inning vs. NYM (4/26), his 6th career walk-off hit (7th career walk-off RBI)...Hit a two-run walk-off home run vs. CHI (5/6) in the 14th inning off Luke Farrell with the Cardinals trailing 5-4. Earlier in the week, hit his 100th career home run off Lucas Giolito (5/2 vs. CWS)...Sat out three games (5/27-5/29) after sustaining a 91 MPH fastball off his right knee from Trevor Williams in his 2nd plate appearance (5/26) at PIT. Went 3-for-4 in first game back...Hit his 4th career grand slam at CWS (7/10) off Hector Santiago, marking his high-game RBI total (4) of the season...Hit an extra inning two-run home run at CIN (7/24) in the 11th inning to give the Cardinals the lead and eventual win. Was his 2nd career extra inning home run, both in 2018 (5/6 vs. CHI)...Started 14 of team's first 16 games after the All-Star Break...Missed three games (July 2-4 at Arizona) while on Paternity Leave as he and wife, Aliya, welcomed daughter Ivy Noor (7/3), their second child, to the family. Rejoined club in SF on July 5. Posted career highs in home runs (18) and RBI (64), while playing in 118 games. Has played in 115 games or more in every full season of his career dating back to 2009...Missed 12 games while on the disabled list with a right heel spur (6/25-7/6) and 13 games with a left forearm injury (7/25-8/6)...Ranked T3rd in the National League with a team-best nine triples. His nine triples were the most by a Cardinal since Delino DeShields hit 14 (1997)...Hit lead-off home runs vs. BOS (5/17) off Rick Porcello and at CHI (6/2) off John Lackey in his first at-bat returning to Wrigley Field...Ranked T4th in the National League for home runs (18) hit by a switch-hitter...Led the Cardinals with 12 game-winning RBI, ranking T9th in the National League...Twelve of his 18 home runs tied or gave the Cardinals a lead...Hit his third career grand slam vs. KC (8/10), off Neftali Feliz to break a 3-3 tie...Homered in four straight games (6/15-18) and three straight games (9/17-20) during the season. His four straight games with a home run tied for the team high (Grichuk)...Had two RBI or more in five straight games (9/17-22) marking a new career high. ..Walked in 9 straight games (7/21-8/11) the longest streak in the National League in 2017...Hit 16 of his 18 home runs against right-handed pitchers...Batted .205 (40-195) with 8 HR and 17 RBI in the No. 1 position in the batting order, .300 (15-50) with 5 HR, 13 RBI in the No. 2 position, .271 (23-85) with 3 HR, 11 RBI in the No. 3 position and .333 (21-63) with a HR and 15 RBI in the No. 4 position of any with 10 or more games...Had a strong August batting .328 (22-67) with a home run, 14 RBI and 16 walks for a .453 on-base percentage...Led all National League players with 19 RBI in Interleague games, ranked 6th in batting (.360), 2nd in runs scored (18), T3rd in hits (27), T5th in home runs (6) and T6th in doubles (7)...Drew 13 walks against his former club, the Cubs, T1st of any MLB player (Suarez, CIN)...Made only one error in 228 total chances for a .996 fielding percentage, ranking 2nd among National League centerfielders (Yelich, MIA, .997). His five outfield assists ranked T9th among N.L. centerfielders. Was the Cubs Opening Day starting centerfielder, the first to start consecutive Opening Days since Marlon Byrd (2010-12)...Selected to the National League All-Star Team as the starting centerfielder in San Diego, but did not play due to injury...Set a career-high with a .393 on-base percentage, ranking 6th in the National League...Homered in his first at-bat off the disabled list at MIL (7/22), becoming the first Cub to homer in his first at-bat following a D.L. stint of at least 30 days since Sammy Sosa in 1992...Batted .390 (39-100) with eight doubles, two triples, seven home runs and a .483 on-base percentage in 118 plate appearances leading off the game...led all MLB players (min. 81 PA) in average, OBP, slugging (.720), OPS (1.203) and walks (15, T1st). His .483 OBP leading off was the highest mark in MLB since Chuck Knoblauch posted a .497 mark in 1996.Ranked 2nd in the National League with 4.40 pitches per plate appearance, his highest career mark...Collected his 1,000th career hit at CIN (10/1), a single to centerfield in the 7th inning off Michael Lorenzen...Reached base safely to lead off six straight games (4/28-5/4) tying a Cubs mark held since 1946...Hit seven lead-off home runs, T5th in MLB and the third most single-season in Cubs history...Led the Cubs with 13 stolen bases, his eighth consecutive season with 10 or more stolen bases...Scored a run in nine straight games (7/28-8/7), the longest streak in his career and T4th longest in MLB in 2016...Experienced his first career ejection (Vic Carapazza) on 5/5 vs. WSH, for arguing balls and strikes...Missed 28 games on the 15-day disabled list with a right hamstring strain (6/19-7/21). Returned to the active roster on July 22 after rehab assignments to South Bend (A) and Iowa (AAA). Cubs were 11-17 during his time on the disabled list. Dexter Fowler ranked fourth in the N.L. with a career-high 102 runs scored ... also set career marks with 156 games played, 149 hits, 17 home runs and 84 walks ... his team-leading 20 stolen bases were his most since 27 in 2009 with the Rockies. Hit .326 (44-for-135) with four homers off left-handed pitching ... batted .228 (105-for-461) with 13 home runs off righthanders. Batted .299 (23-for-77) with a .372 on-base percentage in 19 April contests. Enjoyed a torrid August in which he batted .298 (31-for-104) with 17 extra-base hits, 10 RBI, 17 walks, a .408 on-base percentage and a .587 slugging mark, good for a .995 OPS. Recorded a .389 on-base percentage in 71 games following the All-Star break ... his 49 walks in the season's second half ranked fifth in the N.L. Drew 33 walks when leading off an inning, most in the majors. Hit five leadoff homers: May 8 in Milwaukee (Jimmy Nelson), May 26 vs. Washington (Jordan Zimmermann), July 29 vs. Colorado (Eddie Butler), August 23 vs. Atlanta (Matt Wisler) and September 7 in St. Louis (Lance Lynn). Played 152 games in center field, recording a .988 fielding percentage (4 E/346 TC) ... had five outfield assists and two double plays. Connected for a pair of triples, April 11 in Colorado, tying his career high done three other times ... was the first Cubs player to record two triples in a road game since Jose Macias, May 14, 2004, at San Diego. Belted a game-winning two-run homer off Colorado's LaTroy Hawkins with two outs in the ninth inning and an 0-2 count, April 12 at Coors Field ... erased a 5-4 deficit and helped Chicago to the 6-5 win. Left the game in the third inning, April 22 in Pittsburgh, with right groin tightness ... returned to the lineup, April 24 in Cincinnati. Tied his career high with three runs scored, May 14 vs. the Mets. Belted his second career grand slam, June 21 in Minnesota off Michael Tonkin. Left the June 22 contest vs. the Dodgers with a left ankle sprain ... appeared in three games off the bench before starting again June 26 in St. Louis. Reached base safely in a career-high 22-consecutive games, July 12-August 8 ... the previous Cub to reach safely in at least 22-straight games was Bryan LaHair, who had reached safely in 32-consecutive games from April 8-May 15, 2012. Batted .411 (23-for-56) with six doubles, three triples, four homers and nine RBI in 15 games from August 7-23 ... had a 1.354 OPS. Hit safely in 19 of his final 25 games dating to September 7. Batted .278 (10-for-36) with six runs, two doubles, two homers, three RBI, a stolen base and an .816 OPS in nine post-season games. Went 3-for-4 with three runs, a solo homer and a stolen base in the Wildcard Game, October 7 in Pittsburgh ... tied the Cubs postseason mark for runs scored in a playoff game. In his lone season with the Astros, he played 116 games including 110 contests in center field and four at DH...Ranked fourth in the A.L. with a 13.1 percent walk rate and his .375 on-base percentage ranked ninth...Led Houston with 66 walks and his 16 multi-walk efforts were the Astros most since Lance Berkman had 25 in 2009...In his final 104 games (dating to April 18), hit .288 (111-for-386) with 18 doubles, three triples, seven homers, 33 RBI and a .392 on-base percentage...Missed four games from April 3-7 due to gastroenteritis...Missed 40 games on the disabled list due to a right intercostal strain, June 27-August 13...Played four injury rehabilitation games with Triple-A Oklahoma City, and batted .300 (3-for-10)...Appeared on his sixth Opening Day roster and made his fourth career Opening Day start ... went 2-for-4 with two runs and two doubles Opening Day vs. the Yankees...Is the third player to record two doubles and two runs in their Astros debut, joining Vinny Castilla (May 15, 2001) and Jack Hiatt (April 8, 1971)...A day later went 2-for-4 with a leadoff homer, his first of three...The previous MLB player to record two or more runs and two or more extra-base hits in the first two games of the season was Barry Bonds in 2002...One night later, April 3 vs. the Yankees, recorded his third consecutive multi-hit game with an RBI ... only other player in franchise history to begin his Astros career with three straight multi-hit games was Ken Caminiti (July 16-July 18, 1987)...Also became the first player in franchise history with at least two hits and one run in each of his first three games in an Astros uniform...Led the A.L. in walks and on-base percentage in the month of May ... walked in a career-high nine-straight games, May 10-19...Was the first Astros player to turn the trick since Morgan Ensberg, August 2-11, 2006...Hit .288 (17-for-59) with seven walks and two homers in his first 15 games after he was activated from the D.L., August 13...Acquired from the Rockies for outfielder Brandon Barnes and righthander Jordan Lyles, December 3, 2013. Although he played the fewest games of his career (119), 2013 marked the fifth-straight MLB season to begin his career that Fowler has had at least 415 at-bats, scored at least 70 runs, had at least 30 extra-base hits and stolen double-digit bases...hit double-digit home runs (12) for the second straight season after setting a career-high with 13 home runs in 2012...his 19 stolen bases in 2013 were the second-most of his career behind only the 27 bases he stole in his rookie campaign of 2009...played just nine games in September, and 45 games after the All-Star Break, due to multiple injuries, including a right wrist injury and a left knee injury ... began the season by batting .305 (29x95) with four doubles, one triple, eight home runs and 15 RBI in 26 games in April...the eight home runs in one month set a new career-high for him ... despite playing in a career-low games, still led the club, and finished 14th in the NL, with 65 walks ... hit .343 (61x178) with 11 doubles, one triple, seven home runs and 22 RBI in 48 games vs. NL West foes. Had his most productive MLB season to date, setting career-high marks in the following categories: games (143), hits(136), home runs (13), RBI (53), walks (68, tied 2011), average (.300), on-base percentage (.364) and slugging percentage (.474)...hit .315 (45-for-143) from the right side and .293 (91-for-311) from the left side. Set Rockies career triples record in 2012, now has 50 career triples (Neifi Perez 2nd w/ 49)...his 50 triples since first fullseason in 2009 are the most in the Majors (Shane Victorino 2nd w/ 46)...50th triple came in 503rd game...Elias: only player who debuted in MLB after World War II to reach 50 triples as fast as Fowler is Garry Templeton (487th game in 1979). His .389 on-base percentage was the 6th-best mark in the NL...was one of 14 NL players to hit .300 or better... .863OPS was 12th in the NL..his .863 OPS was the 4th-highest among MLB center fielders and only Andrew McCutchen (.953)finished the season with a higher mark in the NL.Led the Major Leagues with his .379 (50-for-132) batting average in the 7th inning or greater...had 23 of his 53 RBI inthat situation...also hit .298 (28-for-94) with runners in scoring position. Had two leadoff home runs, 5/28 vs. HOU (game 2) and 7/18 vs. PIT...now has four career leadoff homers. Notched his first two career pinch-hit home runs in 2012, a week apart, on 5/20 vs. SEA and 5/27 at CIN. In his sophomore season in the Majors with Colorado became the Rockies regular center fielder afterthe All-Star break after spending nearly a month at Triple-A Colorado Springs from late May to late June...Began the season on the Rockies active roster for the second straight season...batted .216 (30-for-139)with nine extra-base hits (5 2B, 3 3B, 1 HR) through the end of May before being optioned to Triple-A on5/31...Spent 27 games with Colorado Springs Sky Sox and hit .340 (36-for-106) with 10 doubles, four triples,two home runs and 13 RBI before being recalled on 6/29...he would spend the remainder of 2010 on theRockies active roster...Hit at least .275 in each of the final three-plus months of the season...hit a season-best .287 (25-for-87)in July...had seven doubles, four triples and two home runs in 26 games during the month of July...Would finish the season's "second-half" batting .280 (70-for-250) with 12 doubles, seven triples, fourhome runs and 26 RBI in 73 games...Led the Majors with his 14 triples in 2010...his 14 triples this season are a new Colorado single-seasonrecord, passing the previous record of 11 triples done four times (most recently Juan Pierre and JuanUribe in 2001)...Has 24 triples over his first two MLB seasons...his 24 triples since 2009 are tied with Stephen Drew forthe most three-baggers among MLB players...Fowler is already tied with Ellis Burks for the fifth-most triples in Rockies franchise history...Neifi Perez(49) holds the club record...The switch-hitter had a tale of two seasons from both sides of the plate in 2010...from the beginning ofthe season through 7/2 Fowler batted .353 (18-for-51) from the right side of the plate, then from 7/3 tothe end of the season, Fowler hit just .214 (22-for-103) from the right side...he batted just .173 (18-for-104) on the left side of the plate from the beginning of 2010 through 7/2, then turned it around from 7/3through the end of the season by batting .309 (56-for-181) from the left side...Batted .333 (25-for-75) with 31 RBI with runners in scoring position in 2010...hit .436 (17-for-39) withRISP after the All-Star break...only Carlos Gonzalez (.350) had a higher average with RISP amongRockies regulars in 2010...is a career .292 (50-for-171) hitter with RISP...Finished the 2010 season with a .996 fielding percentage...that was the highest fielding percentageamong NL center fielders...Fowler made just one error in 120 games and 242 total chances in 2010. Finished first full season in the Majorswith .266 avg., 29 doubles, 10 triples, 4 home runs,34 RBI and 27 stolen bases...was 5th in NL in triplesand T6th in steals...switch-hitter slugged .372 (2 HR)vs. lefties and .482 (2 HR) vs. righties...finished theseason 21-for-last-52 (.404 AVG, .456 OBP, .558SLG) from the right side...played the most games bya Rox rookie since Troy Tulowitzki (155) in2007...shattered club rookie record with 27 stolenbases (ahead of Quinton McCracken, 17, in '96);18th steal in his 78th game 7/9 vs. ATL...finished firsthalf with 19 doubles - most ever by Rox rookie(ahead of Matt Holliday, 18 in 2004)...among switchhittingRox rookies all-time, Fowler owns the recordsfor most doubles and walks...averaged 7.33 plateappearances per walk, the best mark ever by a Roxrookie (ahead of Todd Helton's 7.34 mark in1998)...struck out 116 times, the 2nd-most by a Rox rookie (Tulowitzki, 130 in 2007); had 4-strikeout games6/28 at OAK and 6/10 at MIL...batted from the leadoff or No. 2 spot in the batting order in each of his first95 games started (104 overall)...he hit leadoff more than any other player on the club, while making all ofhis starts as in centerfield...went 4-for-10 (.500 OBP) as a pinch-hitter...hit .324 (12-for-37) on the first pitchof an at-bat...2 of his HR's were against ARI, both off LHP Doug Davis...logged season-high 11 hits (.400OBP) vs. SF...was on the Opening Day roster for the first time in his career at 23 years, 15 days old...hehomered from each side of the plate in his first four games (no career HR's entering '09)...hit leadoff HRon 1st pitch he saw 4/8 at ARI; marked 1st career HR, Rockies first leadoff HR since Willy Taveras on 6/7/07vs. HOU...hit RBI pinch-hit double 4/15 at CHC, 1st career pinch hit...tied a modern-day rookie record(since 1900) with 5 SB against the Padres on 4/27; the last rookie with 5 steals in one game was thePadres' Damian Jackson in 1999 (6/28/99 vs. COL)...April rankings among NL rookies: hits (T-1st-18), HR(T-2nd-2), runs (2nd-12), SB (1st-9); 9 steals in April were club rookie record...led Rox with 14 walks inMay...had a SB in 4 straight games, 7/8-11...at All-Star break, led NL rookies in walks (35), runs (35), SB(14), 2nd in hits (61), T-1st in doubles...had 9 RBI in July, his most in any month of his career; hit .250 (19-for-76), 18 walks (.404 OBP), 10 runs, 10 SB in July...had 3 doubles 8/12 vs. PIT...0-for-1 as PH 8/14 atFLA snapped 8-game hit streak (.462, 12-for-26)...hit .361 (22-for-61) w/ 11 extra-base hits (6-2B, 5-3B) inAugust; despite going on the DL on 8/25...led all NL rookies in triples (5), OBP (.458) and SLG (.623) inAugust...sustained bruised right knee when he fouled a ball off his leg during his final plate appearance inthe 14th inning on August 24; remained in the game and scored Rox first run of a 5-run inning during the6-4 comeback victory over SF...missed a total of 14 games, and the club went 8-6 while he was on the DL(appeared in 3 games for the Tulsa Drillers on rehab from September 5-7, going 4-for-10 (.400) with 2 doubles,3 walks and 3 RBI...made first start since returning from the DL 9/11 at SD and went 1-for-4...hit .236(13-for-55) in final 20 games after coming off the DL. Began the season with Tulsa as the club's everyday center fielder before being called up to themajors Sept. 2...before being called up to Colorado, represented Team USA at the Beijing Olympics inAugust...finished with a .154 average (4-for-26) and 3 runs scored in 13 games of big leagueaction...added to the 40-man roster for the first time in his career when the club purchased his contractfrom Double-A Tulsa Sept. 2...did not appear in any games for the Rockies until Sept. 10...played the fieldin 9 games for the Rockies, starting 5 games, all in center field...batted from the leadoff spot in his first 2starts (9/10 at ATL, 9/14 vs. LAD) before batting 8th in his final 3 starts...switch-hitter recorded all 4 hits lefthanded(4-for-11)...made MLB debut as a pinch runner in the 10th inning and was caught stealing (2ndbase) on 9/2 vs. SF...flied out to right field in his first MLB at-bat (as pinch-hitter in the 3rd inning) 9/3 vs.SF...became the 7th Rockie to make his big league debut, joining IF's Jonathan Herrera, Doug Bernier andJayson Nix and P's Greg Reynolds, Cedrick Bowers and Steven Register...one of 14 rookies used by theclub...first MLB start (as CF) came on 9/10 at ATL, and he notched his first career hit off Colorado nativeWill Ohman in the 7th inning...also scored 1st run, 1st OF assist in that game...0-for-4 in 2nd MLB start9/14 vs. LAD...received 3rd MLB start of career 9/16 vs. SD and was on base 3 times with first career multihitgame...hit .335 (141-for-421) with 31 doubles, 9 triples, 9 HR and 64 RBI in 108 games for the Double-A Tulsa Drillers, all numbers were career bests...ranked among Texas League leaders in the following categories:avg. (2nd), OBP (1st-.431), SLG (4th-.515), runs (2nd-92), triples (T-1st)...went 0-for-4 as the startingcenter fielder during the Futures Game at Yankee Stadium...had 20 SB, 8 CS...named Texas LeagueOffensive Player of the Week for the week ending June 15 after hitting hit .484 (15-for-31) with 7 doubles,5 RBI and 7 runs scored, while slugging .735 for the week...named Rockies Player of the Month forJune...the primary center fielder for the Double-A Tulsa Drillers hit .373 (38-for-102) with 2 home runs 21RBI and 3 stolen bases in June...switch-hitter also smashed 12 doubles and recorded a .569 slugging pct.for the month...awarded a bronze medal at the Beijing Olympics as 2008 Team USA Olympic BaseballTeam defeated Japan 8-4 in their final game. Played in just 65 games for Single-A Modesto before going on the DL for the remainder of theseason with a fractured right hand...despite missing nearly half the season he still finished third on the clubwith 20 stolen bases and 44 walks...posted 18 multi-hit games, including six three-hit games...recorded doubledigit hit totals in four consecutive games from May 4-8...reached base 13 times during that four-game stretch ashe had nine hits and four walks...had season-high three RBI on Opening Day vs. Visalia...switch-hitter batted .302(19-for-63) vs. lefties and .264 (48-for-182) vs. righties...played for the Peoria Javelinas following the seasonand batted .224 (24-for-107) with 17 RBI in 27 games...was named to the AFLAll-Prospect Team alongwith being named an AFL Rising Star...tabbed by Baseball America as the third-best prospect in Colorado'sfarm system...was also named by the same publication as being the best overall athlete and the bestdefensive outfielder. Ranked tied for third in the SAL in runs scored...among the club leaders, ranked tied for first intriples, second in doubles, stolen bases and tied for second in walks...ranked 10th among Colorado's organizationalleaders in batting average...hit .304 (62-for-204) on the road and .289 (58-for-201) at home...batted.296 (40-for-135) against both left-handed and right-handed hurlers (80-for-270)...hit .364 (4-for-11)with 13 RBI with the bases loaded...played 97 games in CF and posted a .964 fielding percentage (221tc/8 e)...recorded double digit hitting streaks on 3 different occasions: 10-games from April 11-22 (.413,19-for-46), 13-games from May 22-July 9 (.339, 20-for-59), and 10-games from August 17-29 (.438, 21-for-48)...missed nearly the entire month of June (6/3-29) with a left ankle sprain...named to the mid-seasonSAL All-Star team, but did not appear in the game...hit a pair of solo home runs on Opening Day (April 6)vs. Savannah in Asheville's 6-1 victory...stole season-high three bases on Aug. 24 vs. Greensville...drove inseason-best five runs on Aug. 29 at Kannapolis in the Tourists' 21-2 win...named by Baseball America asthe fourth-best prospect in Colorado's farm system along with being the best athlete. Spent first professional season at rookie-level Casper...reached base in 28 consecutive homegames from June 21-Sept. 8...went 3-for-5 with four runs, a double, two home runs and three RBI in 11-6 winon Aug. 26 at Ogden...appeared in 58 games in CF and one in RF...named by Baseball America as havingthe best outfield arm in the Rockies Minor League chain. November 1, 2018 St. Louis Cardinals activated RF Dexter Fowler from the 60-day injured list. July 5, 2018 St. Louis Cardinals activated RF Dexter Fowler from the paternity list. July 2, 2018 St. Louis Cardinals placed RF Dexter Fowler on the paternity list. August 7, 2017 St. Louis Cardinals activated RF Dexter Fowler from the 10-day disabled list. July 25, 2017 St. Louis Cardinals placed CF Dexter Fowler on the 10-day disabled list. Left wrist strain. July 7, 2017 St. Louis Cardinals activated CF Dexter Fowler from the 10-day disabled list. June 25, 2017 St. Louis Cardinals placed CF Dexter Fowler on the 10-day disabled list. Right heel spur. December 9, 2016 St. Louis Cardinals signed free agent CF Dexter Fowler. November 3, 2016 CF Dexter Fowler elected free agency. July 22, 2016 Chicago Cubs activated CF Dexter Fowler from the 15-day disabled list. July 20, 2016 Chicago Cubs sent CF Dexter Fowler on a rehab assignment to Iowa Cubs. July 8, 2016 Chicago Cubs sent OF Dexter Fowler on a rehab assignment to South Bend Cubs. February 25, 2016 Chicago Cubs signed free agent CF Dexter Fowler. 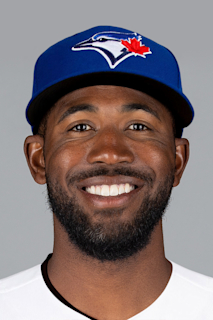 November 2, 2015 CF Dexter Fowler elected free agency. January 19, 2015 Chicago Cubs traded RHP Dan Straily and 3B Luis Valbuena to Houston Astros for CF Dexter Fowler. August 13, 2014 Houston Astros activated CF Dexter Fowler from the 15-day disabled list. August 8, 2014 Houston Astros sent OF Dexter Fowler on a rehab assignment to Oklahoma City RedHawks. December 3, 2013 Colorado Rockies traded Player To Be Named Later and CF Dexter Fowler to Houston Astros for RF Brandon Barnes and RHP Jordan Lyles. July 11, 2013 Dexter Fowler roster status changed by Colorado Rockies. July 8, 2013 Colorado Rockies sent CF Dexter Fowler on a rehab assignment to Colorado Springs Sky Sox. July 2, 2013 Colorado Rockies placed CF Dexter Fowler on the 15-day disabled list retroactive to June 26, 2011. Right hand bone bruise. July 15, 2011 Colorado Rockies recalled Dexter Fowler from Colorado Springs Sky Sox. June 20, 2011 Colorado Rockies optioned Dexter Fowler to Colorado Springs Sky Sox. June 14, 2011 sent CF Dexter Fowler on a rehab assignment to Colorado Springs Sky Sox. June 7, 2011 Dexter Fowler roster status changed by Colorado Rockies. June 29, 2010 Colorado Rockies recalled Dexter Fowler from Colorado Springs Sky Sox. May 31, 2010 Colorado Rockies optioned Dexter Fowler to Colorado Springs Sky Sox. September 9, 2009 Dexter Fowler roster status changed by Colorado Rockies. September 5, 2009 sent CF Dexter Fowler on a rehab assignment to Tulsa Drillers.